As a keen cyclist I have been really impressed with the cycling gear that Aldi have on their cycling specialbuy promotions. The quality is excellent and they are always very reasonably priced. We all bought jackets earlier this year that had zip off sleeves which were a great buy and have been used a lot this year. 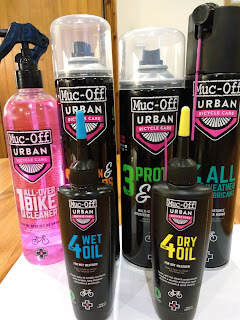 Now that autumn is well and truly here and with it the darker nights and inclement weather I was glad to see Aldi had some great products in store. 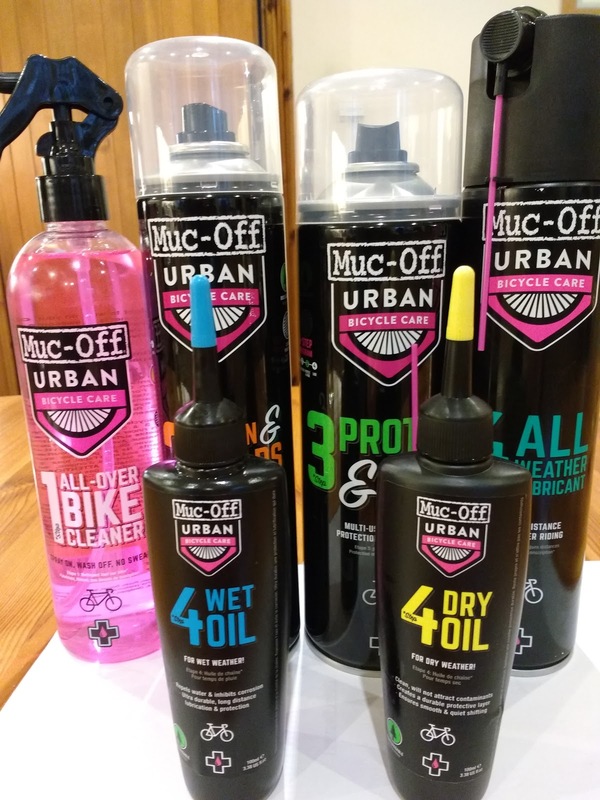 The Muc-Off bike cleaning products are priced at £3.99 and they still had plenty when I was in Aldi this afternoon. Luke loves riding through puddles and even if we have only been riding on the road his bike can be caked in mud! 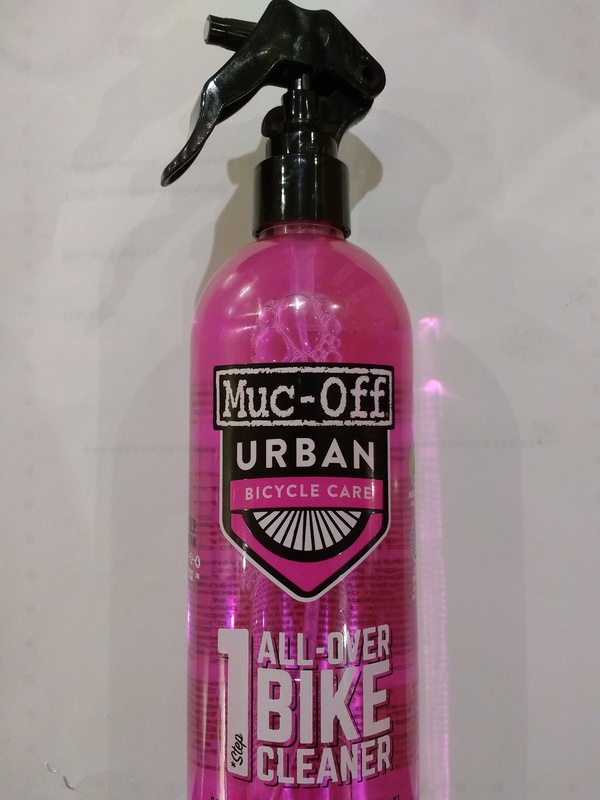 The Muc-Off bike cleaner is great at getting rid of mud and is easy to use, we usually hose his bike down and then give it a quick spray with this, give it a scrub and then a final rinse and then his bike looks as good as new again! Aldi stock the 4-step cleaning programme, step 1 clean, step 2 degrease, step 3 protect and shine and step 4 lube. We use our bikes a lot so don't do all 4 steps after every ride but we do try and give our bikes a good clean every month. As well as the 4 step cleaning programme they also have the oil for dry and wet weather. William cycles to Cubs every week and we have always told him to make himself as visible as possible when he is cycling in the dark. 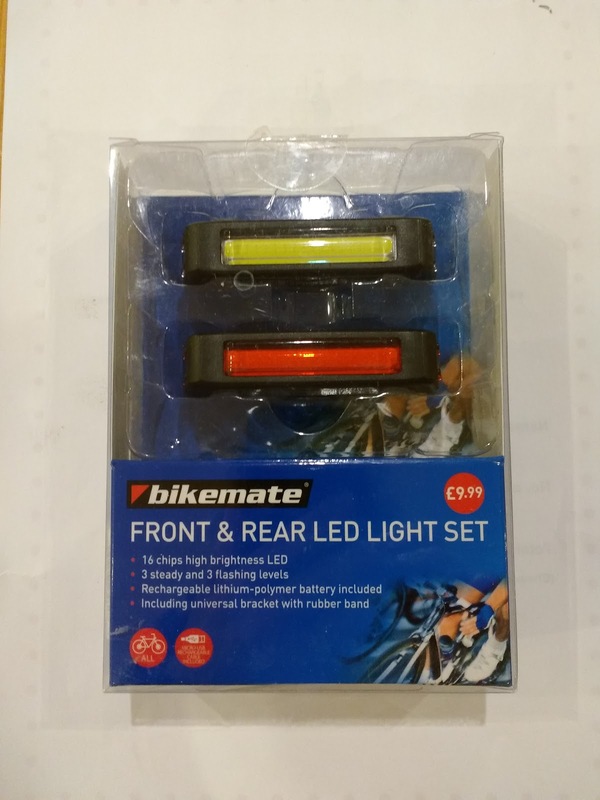 The front and rear LED light set is very reasonably priced at £9.99 and the lights are incredibly bright. 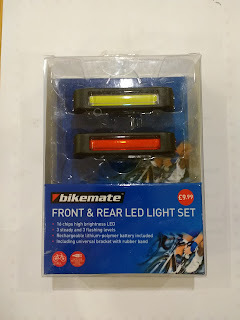 The lights are rechargeable via a USB port and two rubber mounting brackets makes it easy to fit on the handlebars or seat post and they are easily removed for recharging. There is a choice of three light levels and either flashing or steady lights. When I first started cycling I just wore normal socks but since I discovered Aldi cycling socks I only wear these now as they are so comfortable and warm. The socks are specially designed for each foot and they have L and R on them so you know which foot to put them on! The ladies socks are size 4 – 7 but they were still comfortable on my size 8 feet. The socks look stylish and as they are black and pink I know none of the boys will borrow them! 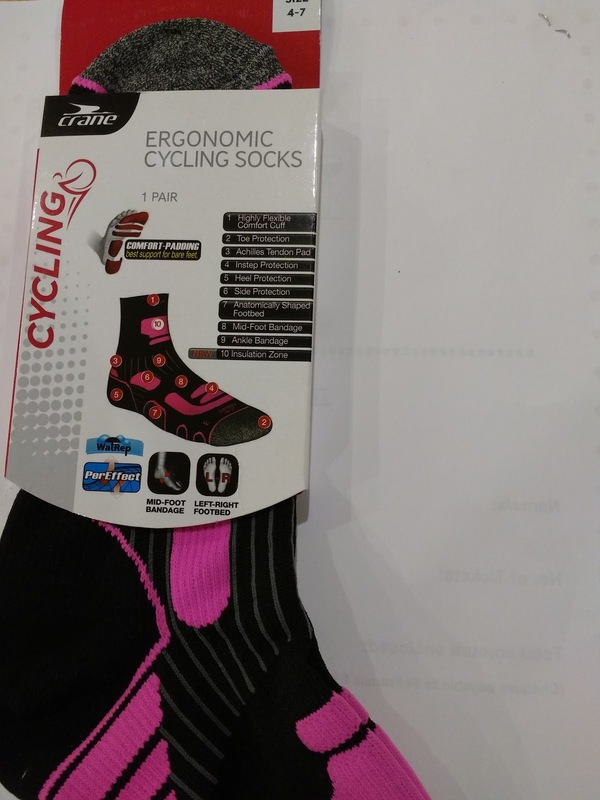 The new socks have special zones specially designed for cycling comfort and have a new insulation zone on the ankle which helps keep my feet warm on cold mornings. The footbed is made of PerEffect, a yarn which ensures high drying activity and greater performance in moisture transport. The fibre structure draws moisture away quickly keeping your feet drier. Like all Aldi Special Buys the products often sell out quickly and once they are gone, they're gone. We received these products from Aldi for the purpose of this review but all words and opinions are my own.